In terms of popular protest, the years of the Irish Famine decade are known to many scholars as ‘conspicuous for their tranquillity rather than their turbulence’. In contrast, recent research has uncovered how food shortages provoked riots at the time. 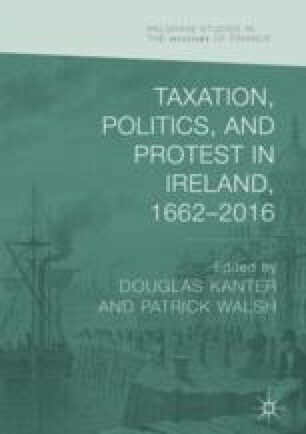 There has been less scholarly interest, however, in how tax changes by the British government provoked other types of popular protest in Ireland. This chapter uncovers two important examples of this phenomenon. The first is how the tariff-cutting budget of 1842 fuelled popular support for Daniel O’Connell’s campaign to repeal the Act of Union. The second is how excessive property taxation for poor relief resulted in middle-class emigration during the Famine. Both outcomes drove popular support for Irish nationalism.